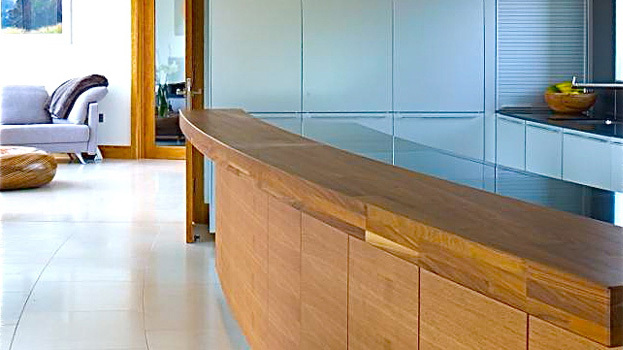 Being asked to create a curved b3 bulthaup kitchen is an interesting challenge and one that our Design Consultant rose to with enthusiasm. 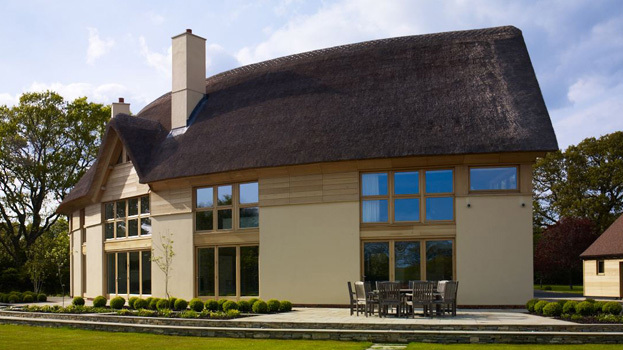 The clients had pulled down the house they had lived in for years and started afresh, working with Matthew Witt at Western Design to build a superb piece of modern architecture. 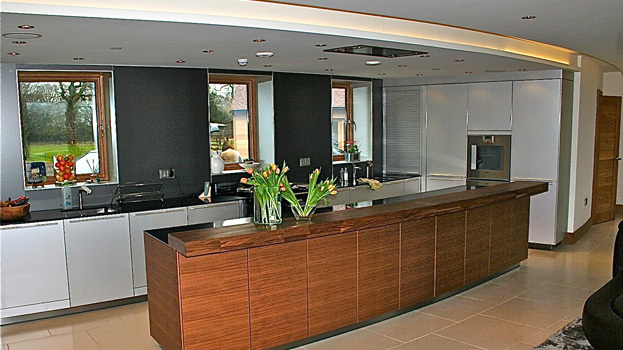 Throughout the project they wanted the best; a high quality bespoke kitchen was part of the specification, following the curve of the building. 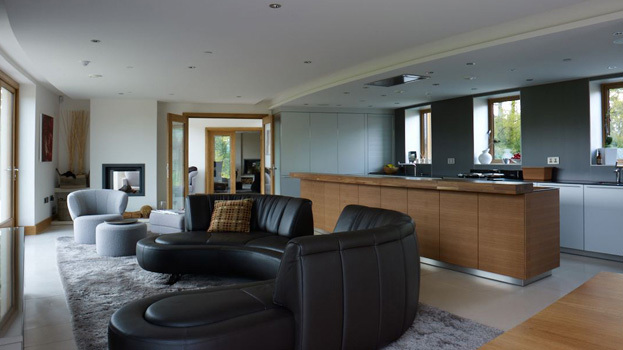 "The kitchen process was part of smoothest part of the build. The whole thing from coming in for the initial consultation to the design and installation process, was very easy." This kitchen is unique in many ways. It is part of the family living room, and needed to fit in with the comfortable leather sofas and other quality furniture. Beautiful walnut for the island and a solid walnut bar provided the necessary subtle opulence, and also complemented the hardwood doors and window frames of the house. The black quartz worktops matched the gloss finish of the Aga, whilst the soft grey aluminium of the doors ensured a lighter look overall. 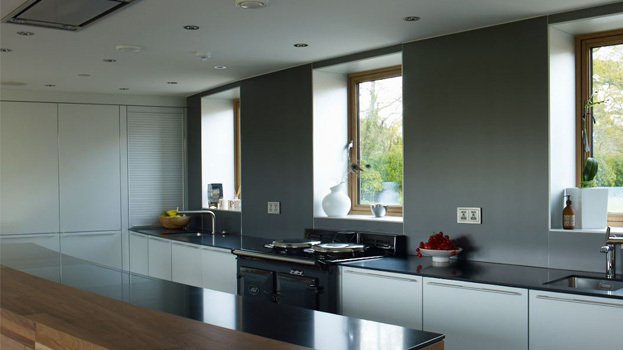 The finishing touch was to clad the walls in dark grey aluminium panels, and the deep window reveres in the light grey, to reflect maximum light into the kitchen. Two sinks, for preparation and wash up, were each positioned in front of one of the three windows, giving views to the forest beyond. The flush induction hob set into the black quartz of the island almost disappears from view when not in use for cooking.